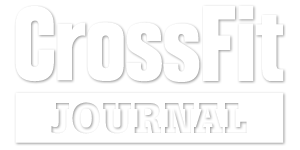 The name of our newest course at Crossfit Worksop is somewhat misleading, as this six week fitness course is not just for men and it is not just for those who are already strong. This is a hybrid program of Strongman movements combined with Crossfit intensity, a lot of teamwork and fun. It is inclusive and exciting, away from the mundane ritual of the gym- the treadmills and machines, even taking a break from the barbell and the sometimes frustratingly challenging gymnastics movements on the rig and rings. This program is going to take you outside, making the most of our beautiful English summer and the bright evenings. You will be introduced to balls of cement, dirty tyres and preloved beer kegs. Strongman is brilliant for both men and women. We all come in different shapes, sizes and fitness levels but the great thing about strongman is that no matter who you are you can benefit from taking part in this course. There is nothing more satisfying than conquering the seemingly impossible and that is what you will find yourself doing. The equipment is functional and the movements are simple to learn and incredibly effective in improving your fitness. Strongman emphasises movements you are inherently born with- pushing (a prowler), pulling (a sled), picking up objects (stones), carrying objects (farmer's carries and yokes) and it puts these movements into fun workouts. Every class you will be learning new skills and then putting them to the test, sometimes on your own and sometimes in teams. You will get fitter, stronger and hopefully build the confidence you have in yourself. Fresh, fun and perfect for anyone, we are very excited to bring you this new course at Crossfit Worksop.